From the 1998-1999 academic year, at the request of the heads of city and district departments of education, as well as parents, the admission of entrants to the full-time department of the Tash-Kumyr Technological Faculty began in the specialties: “Kyrgyz language and literature”, “Biology”, “Pedagogy and methodology of primary education” . 550700 direction -Pedagogics. Profile training – pedagogy and methods of primary education. The form of education is full-time and part-time. The term of study for the full-time department is 4 years, for the correspondence department of 5 years. 550600 direction – Art education. Profile training – labor training. The form of education is full-time and part-time. The term of study for the full-time department is 4 years, for the correspondence department of 5 years. 550300 direction -Phylological education. 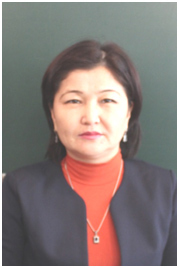 Training profile – Kyrgyz language and literature. The form of education is full-time and part-time. The term of study for the full-time department is 4 years, for the correspondence department of 5 years. In the above specialties and areas, higher education and a bachelor’s degree are given. The students of the department passing through practice in the regional educational institutions, schools, kindergartens use the obtained theoretical knowledge and show a high degree of preparation for the future profession. To date, 170 graduates of the department work in various institutions of public education. The faculty of the department gives high knowledge to future specialists. At the department educational activity is conducted by: 2 Candidate of Pedagogical Sciences. Associate Professor, 2 senior teachers. 4 teachers, 1 trainee-teacher. The chair meets modern requirements. It is organized; “Center of State Language”, “Center for the Study of Creativity of Ch. Aitmatov”, an audience for lecture and practical classes. All the conditions for conducting educational activities at a high level have been created for the teaching staff. With the purpose of training highly qualified personnel of the education system, the department defines the main areas of work.